If you’re considering buying a home in the city, chances are you’re thinking about condo or townhouse living. As the GTA continues to grow, more and more condos and townhouse developments are popping around our vibrant and continually expanding city. Condo living is great for many people, as it provides luxurious living space in a great neighbourhood, with amenities such as fitness studios, pools and party rooms only steps away. Townhouses allow for a larger space for you and your family to call home, and be part of growing, diverse communities. Here is what you need to know about buying a unit in a pre-construction building. When you register for VIP access to purchase a unit before they go on sale to the public, you have access to the best selection of units, discounted prices and possibly even extra incentives and promotions. There is usually a deposit structure in place, meaning the price of the unit can be paid off in smaller installments. Your mortgage doesn’t kick in until the builder registers the condo and you officially take occupancy. Plus, since the condo still needs to actually be built, you have plenty of time to continue to save up before the full mortgage kicks in. When you move into a brand new unit, it will require no up-front renovations and much less maintenance. Your appliances will be new, your fixtures will gleaming, and your unit and building will be in great condition for many years to come. For many buyers, this type of situation is ideal because there is no hassle of planning and living through renovations – your home is already perfect for you. A big perk of purchasing a pre-construction unit is that you often get a big say in its interior design and decorating. You can choose your desired square footage, floorplan and the view you’ll see out your windows. You may be able to choose your desired flooring, appliances, paint colours, cabinets and countertops, to name of few areas of customization. Pre-construction developers do their absolute best to make sure their building and units are very trendy and modern. If you choose to sell your unit in the future, buyers will be attracted to its modern amenities, design and trendy location. Many buyers of pre-construction like to buy the unit and sell it once keys are in hand. This is because the moment the builder finishes the building, often times the price of the condo or townhouse has gone up. Why? Because most people do want to move in quickly and be able to see exactly what they’re getting. Alternatively, you may rent your unit out to a suitable tenant, who’s rent payment will help you pay off your mortgage and help you build equity in your investment. Is Buying Pre-Construction For You? Buying pre-construction is absolutely a great choice for those buyers who aren’t in a rush to move in. Condos and townhouses take time to build, so they’re ideal for people looking for an investment property, a second property, or someone who wants to move into their brand new on-trend unit, in a building full of amenities. 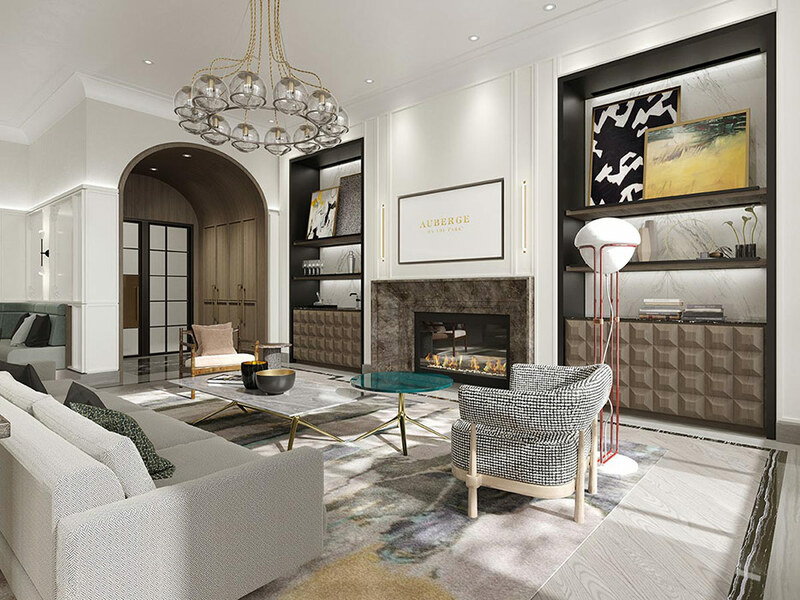 The Signature Collection at Auberge On The Park is a condo, townhouse and loft development in North York’s most exclusive neighbourhood. Amenities, including a terrace with a pool and cabanas with views of the city, along with spacious, well thought-out floorplans, make Auberge On The Park is an amazing option for anyone considering buying pre-construction. Auberge on the Park - contact me today for VIP access. Contact me with any questions you have about pre-construction condos. I can help you decide if buying a unit in an upcoming build is right for you and, if it is, offer you VIP access to floorplans, pricing and perks. I’ll treat you like you’re a part of my family, and make sure you understand every step of the buying process. Call me today at 416-543-4939 or email me at mary@marydempster.ca.